3mm thick, tough GRP profiled covers. 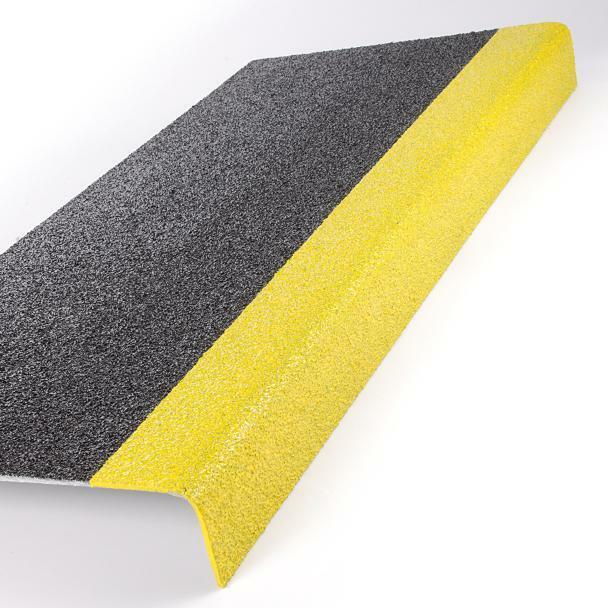 Highly effective anti-slip products that will withstand the rigours of all industrial and commercial environments. Designed specifically to reduce the risk of slipping on steps, stairways and landings, offering an almost permanent solution to slip hazards. 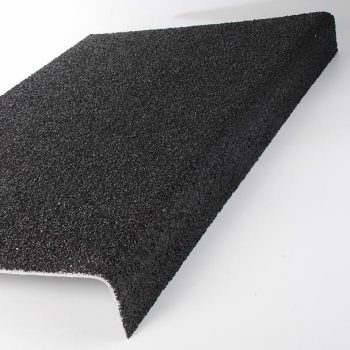 Nominally 3mm thick, tough GRP profiled covers, coated in a combination of premium quality aluminium oxide & resin components make up a highly effective stair tread cover & landing cover that is built to withstand the rigours of industrial & commercial environments. Designed specifically to reduce the risk of slipping on steps, stairways & landings, they are the preferred choice over tapes and paints, offering an almost permanent solution to slip hazards. The products can be laid and fixed using a combination of adhesive/sealant and fasteners to effectively fix, bond and seal the edges, preventing any ingress of moisture. 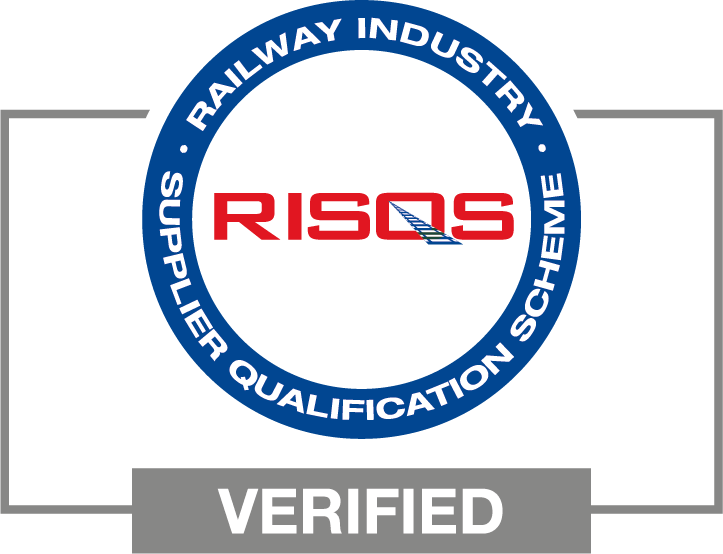 Profiles are cut and finished to specified sizes prior to delivery for ease of installation or can be cut on site using a diamond-tipped tool. Landing covers with downstand(s) are manufactured to specified sizes to maintain the aesthetics across the entire stairway and walkway, offering a complete solution. 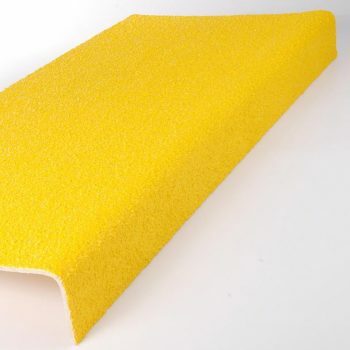 The stair tread cover & landing covers are designed to be fixed to all substrate types, the versatility of the covers means they can be used even where there is minor damage or deterioration to an existing surface.